Roberta has trained me to care about waste. She’d say I’m still in training. Stocks are great for creating something tasty and super-useful from trimmings. But don’t chuck any old rubbish in. Make sure trimmings are in good condition. I learned there are white stocks made with raw bones and brown stocks made with browned bones. Makes sense. Bones contribute flavour and their gelatin gives a stock some body. This really becomes apparent when the stock cools and sets into a jelly-like blob. 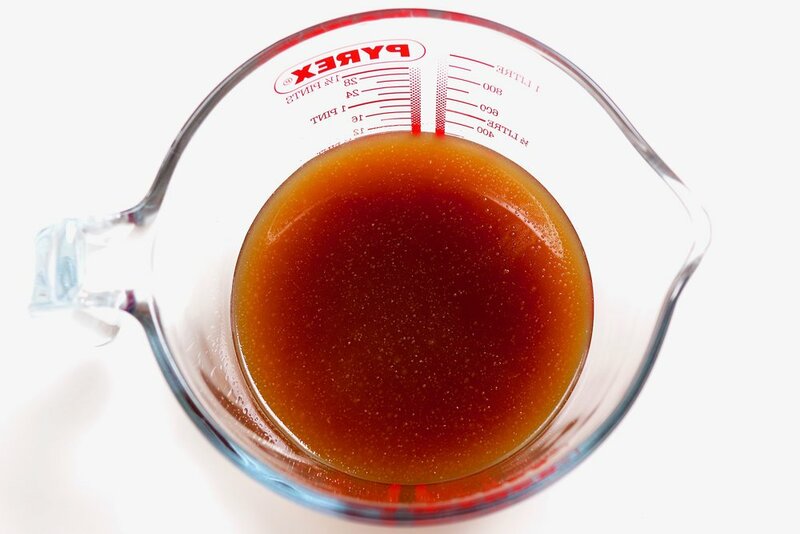 It’s worth trimming the bones of excess fat and blood beforehand to help avoid a cloudy stock. Maybe even blanch the bones to remove any impurities. Cover them with cold water and bring to the boil, then drain and rinse well. Because a stock is a base ingredient for something else it’s important not to add salt. If salt was added and the stock was then reduced or added to other salty ingredients, the end dish could be too salty. Specifically a stock is 1 part vegetables, 5 parts bones and 10 parts water, plus any additional flavourings like herbs. Every stock loves Mirepoix. That’s not a band like Jamiroquai. It’s typically carrots, onion and celery but it can vary by recipe. Vegetables are cut according to the cooking time. The longer the infusion the bigger the chop so the vegetables won’t break down. The ingredients get covered with cold water and brought very, very slowly almost to a boil. 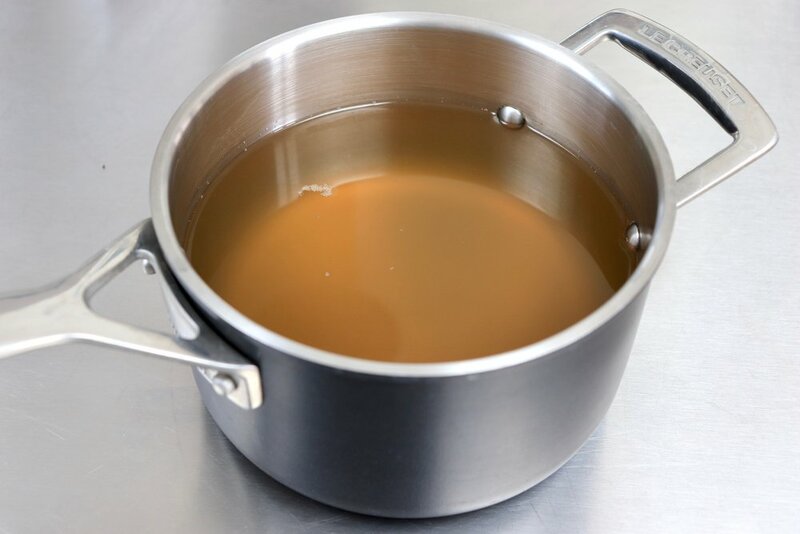 I think there’s an old saying that a stock should never boil. Something to that effect, anyway. A boil would create a mosh pit in the pan with ingredients banging into each other and generally kicking up a cloud in the liquid. Not what we want. Reduce the heat to maintain a very slight simmer and leave the lid off. DO NOT STIR. Stock requires careful attention. Impurities and fat gradually rise to the surface to form a scum. This should be regularly removed. Skimming is a labour of love. That sounds naaasty. But love that stock nevertheless. Be gentle and don’t disturb what’s going on beneath the surface. Chef showed us how to manufacture the best skimming device—bend a tablespoon 90 degrees. This week I’ve twice attempted a Fond Blanc de Volaille or white poultry stock using chicken wings and I still haven’t produced a clear stock. Despite careful caresses with my bent spoon. Hurrumph! The first time I used leeks in the Mirepoix and got a slightly green stock. The second time I included carrots though traditionally white stocks don’t use them. I ended up with a slightly brown stock which wasn’t as clear as I’d hoped. Damn my rule-breaking. I must have disturbed the solids when sieving at the end because the finished stock in the pan with all the ingredients looks pretty damn clear to me. I need to get some muslin cloth. More brown than white chicken stock? My fave has to be the Fond de Veau Brun or brown veal stock. The whiff of roasting bones soon brings people by, like the waft of Bisto gravy in the TV advert. A great Maillard reaction is essential to getting the correct colour and flavour for later on. It’s an 8-hour infusion to produce a small amount of precious nectar at the end. That’s dedication. But just look at it! You have permission to drool. Then there’s the Bouillon de Légumes or vegetable stock. Shallots, carrots, celery, leek, fennel, mushrooms. I forgot to slice the mushrooms. Cutting the vegetables small to expose more surface area maximises the flavour. Also garlic, thyme, bay and cracked white peppercorns. This one turned out pretty good. Am chuffed. Friday’s class also involved creating a Sauce Béchamel. It’s 1 of the 5 mother sauces in French cuisine. This is ultimate comfort food. Rich, smooth, creamy sauce made with a white roux and warm milk infused with an Onion Clouté and Bouquet Garni. 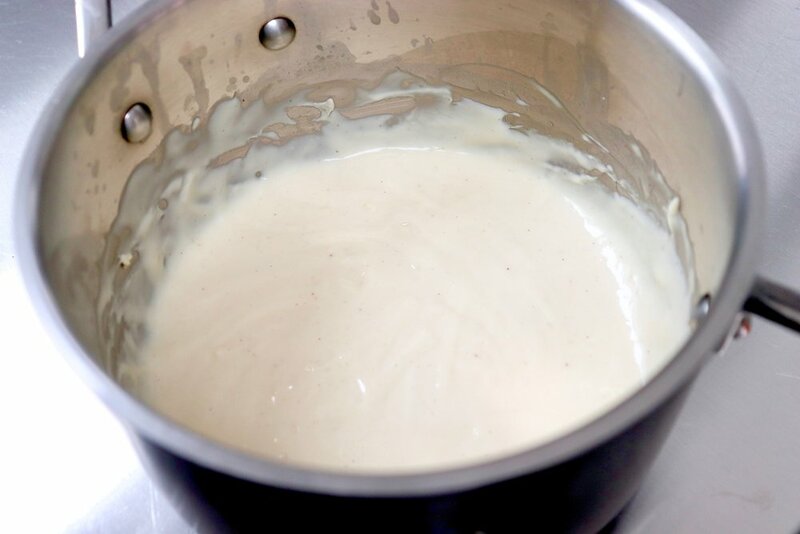 Having the roux and the milk at different temperatures, like a cold roux with warm milk, makes incorporating them that much easier. On Saturday mornings I always cook us a hot breakfast as a bit of a treat. I knocked up a creamed spinach of sorts using the Béchamel. This was dolloped onto toasted soda bread that I’d made a couple of days ago, all topped with a lovely poached egg and cracked black pepper. Spinach loves plenty of pepper.